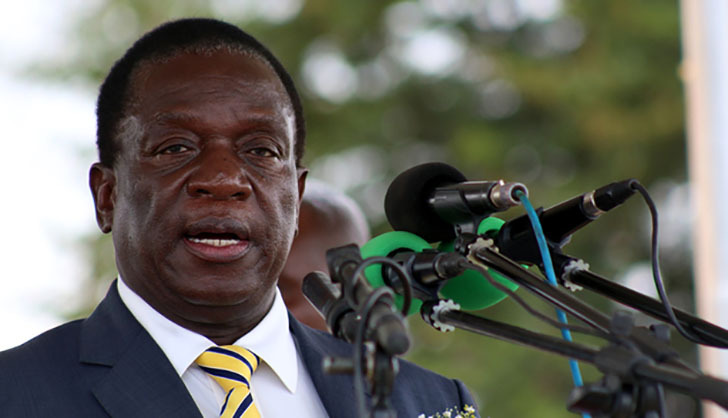 PRESIDENT Emmerson Mnangagwa's nephew, Charles Mpofu is still involved in a fierce tussle for farmland with an apostolic sect group in Kwekwe's Mbembeswane area with the white robbed church members fiercely resisting evictions by authorities. So nasty have the fights been that the matter had to spill into the courts. "I am the owner of sub division B Eastclare Farm as I am the holder of the lease agreement. "I have been occupying the farm for over 6 years. There has been minimum activity on the farm because I was financially hamstrung then," Mpofu told NewZimbabwe.com said. Mpofu said farmers in the area have been having problems with members of the apostolic sect who illegally settled themselves on the land portions in the area. The white garment worshippers said the land was parcelled out to them by Zanu-PF, a claim which the party has since refuted. "We have been having problems with a self-proclaimed headman, Simbi who started to illegally parcel out portions of land to fellow sect members at a certain fee," Mpofu said. "I have been wanting to evict people three years ago but I couldn't get Simbi as he would not make himself available for any meeting with me. "At some, point he jumped into a flowing river in a bid to escape from me. Worse still, he has been charging people an exorbitant $150 to occupy the pieces of land." Mpofu said farms around the area which are settled by mushrooming apostolic sect groups were now looking like deserts as they is rampant deforestation. "Last year in March, I gave them an official letter from the Ministry of Lands and I gave them 90 days which elapsed in August last year. "We served them with an eviction order by the messenger of court and the police but they still would not vacate," he said. The messenger of court, in a bid to drive the illegal settlers away, torched some of the huts late last year. The move did not go down well with the settlers who armed with axes and threatened to hack Mpofu and the law enforcement agents who accompanied him. Mpofu said they have managed to evict some of the settlers but there were still some pockets of resistance. Speaking on behalf of the 20 affected families, self-installed headman Stephen Simbi said they have lost household property worth thousands of dollars and crops in the wake of a recent inferno which left the families living in the cold. Without any title deeds to lay claim to the land, the affected resettled farmers rely on the clemency of the Zanu-PF. Seven years ago Simbi said the land was a vast forest which has given way to farmland following ongoing intense farming operations. "We were given this place by Zanu-PF seven years ago," said Simbi who was quick to point out that the members of the sect are apolitical.